A party bigger than ever! 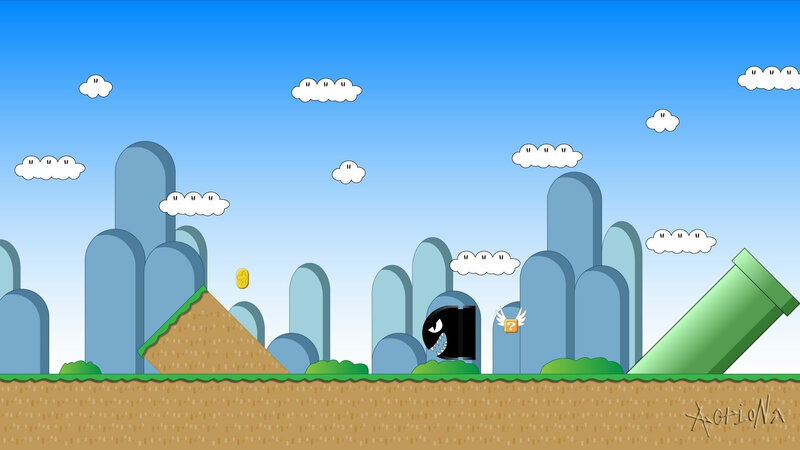 Mario and his pals are back for some more fun. And this time its more fun than ever before. Play with your friends with over 70 all-new mini games! and new characters! A Star is Born: In the centre of the vast universe, a remarkably bright star was born. It was the star that is born only once in a thousand years, the Millennium Star. According to the legend, whoever possessed the mystical star was destined to become the Superstar of the universe. However since the Millennium Star was but a newborn, it fell from the starry sky. Around that time, Mario and his friends were all happily relaxing when suddenly the Millennium Star came crashing down. Mario and his friends soon began arguing about who should keep the Millennium Star. Suddenly, the Millennium Star gave off a brilliantly bright flash of light. And with that bright flash, Mario and his friends were transported into a toy box! "Greetings. I am the Millennium Star. You must pass my test to prove yourself worthy of possessing me. You must journey across many lands and collect the Star Stamps. If you can collect all seven, I shall accept you as the top Superstar in the universe." Who will collect the seven Star Stamps and become the universe's top Superstar? Mario Party 3 is made up of seventy-one Mini-Games in total comprising; twenty x four player Mini-Games, ten three-on-one Mini-Games, ten two-on-two Mini-Games, ten duel Mini-Games, eight battle Mini-Games, six Item Mini-Games and three rare Mini-Games. 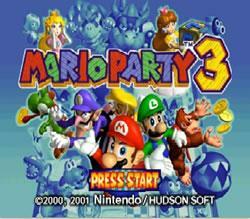 The only Mario Party not to feature a Bowser themed board anywhere throughout. The introduction to the Mario Party series of Waluigi and Princess Daisy.